In this extract from his new book, Homo Deus: A Brief History of Tomorrow, Yuval Noah Harari, historian and bestselling author of Sapiens: A Brief History of Humankind, explains what he calls “the paradox of knowledge”. 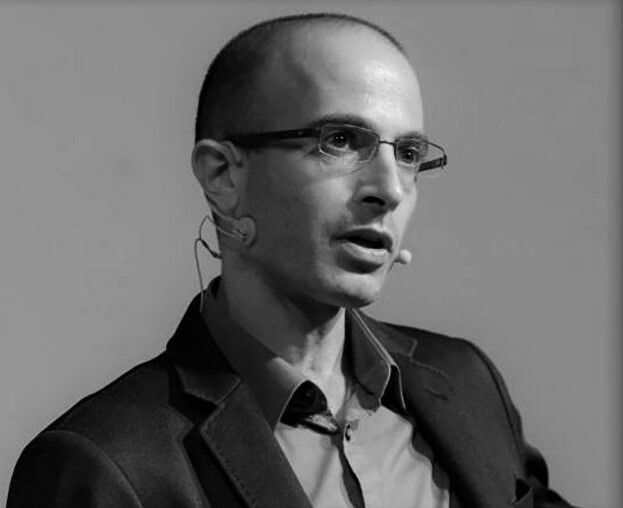 Over the past few years, historian and author Yuval Noah Harari has become probably the most renowned thinker developing a new concept of the progress of the post-industrial era. In his riveting, blockbuster books Sapiens: A Brief History of Humankind (which recently hit the one-million-copies-sold mark) and Homo Deus: A Brief History of Tomorrow, Harari presents a compelling and visionary theory on the evolution of our species. According to Harari, humankind has reached a turning point because of the great technological progress that has taken place in the past few generations. Quality of life and well-being have reached unforeseen levels. Meanwhile, technology is making a great part of human labour redundant. Therefore, humankind needs to discover new goals: ones beyond those of humanism and the ideals that place the human individual at the core of our world view and value system. Harari suggests that the next quest for humankind is to reach immortality and to become ‘Homo Deus’, human god. In that quest our capabilities for imagination and collaboration are bound to become the increasingly defining characteristics of our species. There is plenty of resemblance between The Next Era and Harari’s thoughts. Therefore we are proud to publish (by courtesy of Penguin Random House) the following section from Yuval Noah Harari’s book Homo Deus, in which he describes the dynamism of the current historical transformation. It is vital to think about humanity’s new agenda. Precisely because we have some choice regarding the use of new technologies, we had better understand what is happening and make up our minds about it before it makes up our minds for us. Thirdly, reaching out is not the same as obtaining. History is often shaped by exaggerated hopes. Twentieth-century Russian history was largely shaped by the communist attempt to overcome inequality, but it didn’t succeed. My prediction is focused on what humankind will try to achieve in the twenty-first century – not what it will succeed in achieving. Our future economy, society and politics will be shaped by the attempt to overcome death. It does not follow that in 2100 humans will be immortal. Some complex systems, such as the weather, are oblivious to our predictions. The process of human development, in contrast, reacts to them. Indeed, the better our forecasts, the more reactions they engender. Hence paradoxically, as we accumulate more data and increase our computing power, events become wilder and more unexpected. The more we know, the less we can predict. Imagine, for example, that one day experts decipher the basic laws of the economy. Once this happens, banks, governments, investors and customers will begin to use this new knowledge to act in novel ways, and again an edge over their competitors. For what is the use of new knowledge if it doesn’t lead to novel behaviours? Alas, once people change the way they behave, the economic theories become obsolete. We may know how the economy functioned in the past – but we no longer understand how it functions in the present, not to mention the future. This is not a hypothetical example. In the middle of the nineteenth century Karl Marx reached brilliant economic insights. Based on these insights he predicted an increasingly violent conflict between the proletariat and the capitalists, ending with the inevitable victory of the former and the collapse of the capitalist system. Marx was certain that the revolution would start in countries that spearheaded the Industrial Revolution – such as Britain, France, and the USA – and spread to the rest of the world. Marx forgot that capitalists know how to read. At first only a handful of disciples took Marx seriously and read his writings. But as these socialist firebrands gained adherents and power, the capitalists became alarmed. They too perused Das Kapital, adopting many of the tools and insights of Marxist analysis. In the twentieth century everybody from street urchins to presidents embraced a Marxist approach to economics and history. Even diehard capitalists who vehemently resisted the Marxist prognosis still made use of the Marxist diagnosis. When the CIA analysed the situation in Vietnam or Chile in the 1960s, it divided society into classes. When Nixon or Thatcher looked at the globe, they asked themselves who controls the vital means of production. From 1989 to 1991 George Bush oversaw the demise of the Evil Empire of communism, only to be defeated in the 1992 elections by Bill Clinton. Clinton’s winning campaign strategy was summarised in the motto: “It’s the economy, stupid.” Marx could not have said it better. As people adopted the Marxist diagnosis, they changed their behaviour accordingly. Capitalists in other countries such as Britain and France strove to better the lot of the workers, strengthen their national consciousness and integrate them into the political system. Consequently when workers began voting in elections and Labour gained power in one country after another, the capitalists could still sleep soundly in their beds. As a result, Marx’s predictions came to naught. Communist revolutions never engulfed the leading industrial powers such as Britain, France and the USA, and the dictatorship of the proletariat was consigned to the dustbin of history.This is the paradox of historical knowledge. Knowledge that does not change behaviour is useless. But knowledge that changes behaviour quickly loses its relevance. The more data we have and the better we understand history, the faster history alters its course, and the faster our knowledge becomes outdated. This is an extract from Homo Deus: A Brief History of Tomorrow by Yuval Noah Harari, out in stores now.